With the recent boom in property values, land tax has caused a headache for many investors. However, for those in New South Wales and Victoria, it could all become a thing of the past thanks to a little-known fact regarding the purchase of property using a Self-Managed Superannuation Fund. By considering a switch to a SMSF and using it to purchase property, investors in New South Wales and Victoria can unlock savings of hundreds, if not thousands of dollars, by either reducing or completely eliminating the impacts of the tax. When it comes to purchasing property, SMSFs are still liable to pay land tax but only if the total value of properties owned by the fund exceeds the threshold amount. For investors in New South Wales, this amount is $406,000; in Victoria it is $250,000. New South Wales and Victoria each have different rules that apply to superannuation funds however, unlike many trusts, superannuation funds are entitled to the full land threshold and therefore once the threshold is fully utilised, another SMSF can be set up to purchase an additional property and another land tax threshold becomes available. To provide an example using current land tax rates, a saving of $6,596 per year can be made in New South Wales and at least $975 per year in Victoria, simply by utilising another land tax threshold. For those considering purchasing property through their SMSF, it is certainly a highly tax-effective investment option. While there are costs associated with managing a SMSF, particularly in New South Wales, the potential land tax savings can be significantly more than the administration costs. SMSF property investors can enjoy a myriad of tax benefits stretching far beyond reduced land tax as income is only taxed at concessional superannuation rates and all property expenses are fully tax deductible. Barclay Judge is the Director of Superannuation at chartered accountancy firm, Nexia Australia. With over eight years experience in superannuation, taxation and business services, Barclay possesses in-depth specialised knowledge in superannuation strategies involving taxation and estate planning and places high importance on staying up-to-date with the latest superannuation strategies and legislation. 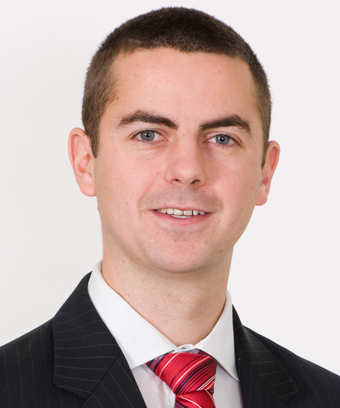 A Chartered Accountant, Barclay holds a Bachelor of Commerce (Accounting) and a Graduate Diploma of Applied Finance. Nexia Australia represents a network of solutions-focused accountancy and consultancy firms in Australia, supported by global links to Nexia International. Covering Taxation, Auditing, Corporate Advisory, Business Advisory and Commercial Services, Nexia Australia offers a full-service accounting solution with experienced partners and an enthusiastic team.